Here we are passing a lighthouse and a fully-rigged schooner on the Canal du Centre in Burgundy. No, not really France. This is the Owl’s Head lighthouse near Rockland, Maine. Not satisfied with four months on the barge, we needed a few days of salt water on a friend’s sailboat. Not quite. We’re home in the United States after four months (minus one week), all, pretty much in Bourgogne, in Burgundy. This was our summer of slowing down, drastically. We’d passed through 589 canal locks our first frantic summer barging. This summer we did 240 locks, and only that many because we spent a month or so on the Canal du Bourgogne, which climbs to the highest point on the French canals. Climbing, and descending, requires lots of locks. If we slowed much more we’d become immobile, which is a possibility we’ve discussed for next summer, converting Hoop Doet Leven into a floating summer home, fixed in just one or two or five places for the whole summer while we explore one place intensively. Its a thought. So, we’re back home in Ipswich, Massachusetts. And I wrote hardly a blog post all summer. Sorry. Its not as if I haven’t been writing all summer. Just not blogging writing. I had a novel to finish writing, revising, editing, revising, revising, revising. Dealing with the publisher, Köehler Books. And a September 1 deadline to hand over the completed manuscript. The publication date will be November 24. Big party. More to come on this front. 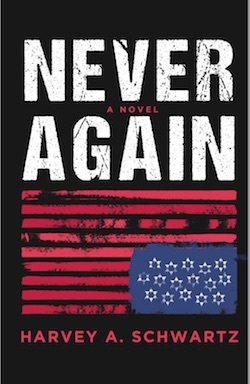 The American political climate seems ready for a novel of a near future in which something similar to the Holocaust happens. It turns out that when a book is published by a real publisher it becomes a team effort. 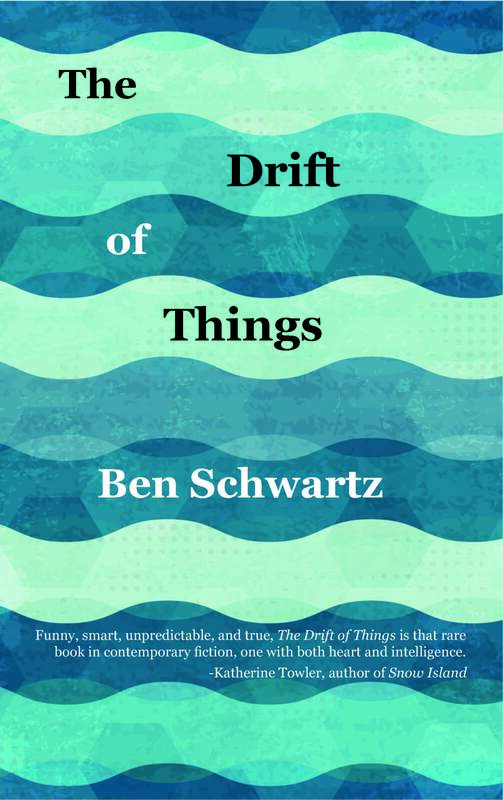 The Acquisitions Editor reads it and decides whether they’ll publish the book. The Rough Editor (nice term) then revises the manuscript. In my case he cut it from 140,000 words to 120,000. In the process a character or three were excised, personalities only I will know and remember out of the entirety of humanity. Some of these excised folks I even liked. Then the copy editor runs the entire manuscript through the Chicago Manual of Style 16th edition and deletes an entire page worth of commas. We had arguments about esoteric topics such as whether the chief federal prosecutor in every state is a United States Attorney – capital A – or a United States attorney – lower case a. “I am a US attorney,” I declared, “but I am not THE US Attorney appointed by the president.” Huff huff. The Art Director proposed cover designs and we had a reader poll of the two finalists. Then the Publisher, the Publicist (two different people) and I decided the loser in the poll is the better cover. Now I am in the hands of Ms. Publicist, Sharon Bially of BooksavvyPR. I’m not quite sure what the Publicist will do but I’ve got my finger crossed for a speaking tour in Hawaii. This is all very heady stuff. Meanwhile, Sandra, who is a fifth generation drummer, is doing her best to ensure that our grandson Ellis becomes a sixth generation drummer. His mini-drum set is set up in a shed in their back yard, with his Billy Joel-clone microphone on a stand. He practices for an hour every day. Wonderfully, at age three-and-a-half Ellis has already crossed the first threshold of musicality. The neighbors complain about the god-awful racket. We’ve decided that if he continues his musical career he’d better have a trust fund. Or a pizza delivery route. Grandson Ellis Clement. The neighbors are already complaining about the noise. So, it was an entirely laid back summer. We spent two weeks at an AirBNB apartment in Meaursault, in the midst of Burgundian wine country. We celebrated our birthdays -I’m May 17, Sandra is May 16, but several years apart – with a hot air balloon ride at sunset over the vineyards, and the town of Beaune. Here we are inside the partially-inflated balloon. Here’s the town of Beaune, which calls itself the wine capital of Burgundy, as seen from the balloon. We then travelled the length of the Canal du Bourgogne, the Burgundy Canal. Up and down 189 locks for 289 kilometers (150 miles). All at no more than 7 kilometers an hour, about 3.5 miles an hour. At one point the canal climbs a hill by means of 40 locks in 14 kilometers. Then you come to the Pouilly Tunnel, all 3,333 meters, a tad over two miles, under a hill. The eclusier at the beginning of the tunnel cautioned us that most of the lights weren’t working that day. Which made it difficult to spot the bats. Boat traffic was light on the canal in June. At times there were more eclusiers – lock tenders – than boats. – These two eclusiers were with us for a day, traveling from lock to lock. They said hello to our grandkids Ellis and Margot. We eventually arrived at Dijon. Dijon was a second – or fifth – home to us in France. During our first – and final – winter living on board in nearby Auxonne, Dijon was our Big City, just a 20-minute train ride away. Dijon is a fascinating historic city that, uncharacteristically for France, is neglecting its canal waterfront. The canal itself is choked with weeds that entangle propellers. At one point we crossed paths with a hotel barge, requiring both boats to move away from the relatively clear center of the canal. We both were ensnared by weeds. I chatted side by side with the captain as we raced our engines, spewed streams of exhaust into the air and moved forward at the pace of a lethargic snail. A shop in Dijon offered the prospect chocolate-covered escargot. Alas, I lacked the courage to sample them. 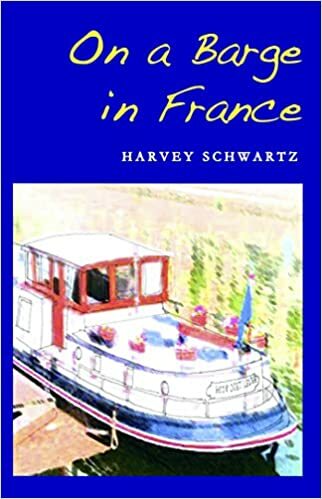 Eventually, we reached the River Saone and motored down to another familiar region, the Canal du Centre, which crosses southern Burgundy from East to West. We spent all of July – or at least the boat did – at the pretty little town of Franges at the beginning of that canal. Our grandson Noah came over for a week in Normandy, then Sandra flew home for two weeks of grandkids. I stayed in Franges for something (almost) as important. The World Cup finals. France vs. Croatia. The first problem was figuring out just where Croatia is. And how it got to the finals, especially since we were all hoping England would be France’s opponent. That would have been historic. Hey, I’ve read all the Patrick O’Brien books about the Royal Navy and the Napoleonic Wars. But France-England was not to be. The only restaurant in town brought in the biggest TV in town and plopped it on the bar, next to the tub of champagne. If France won, the champagne would be free. If France lost, the champagne was to go into the canal. The champagne was free that night. We ended the summer at Entente Marine on the Loire canal. The location of our gear box replacement a few summers ago. This summer we had not a single breakdown. We sweated our final day, fairly certain that our luck would not hold. But it did. And there we left Hoop Doet Leven, tied to the bank of the Canal Latoral de la Loire between Decize and Digoin. Waiting patiently for next summer’s adventures. All in all, a pleasant, slow and easy summer in France. Deeper, richer than ever before. After seven years of this, we are not even discussing pulling the plug. How’s that for a wonder of France? We fought the law and we won. Sort of.